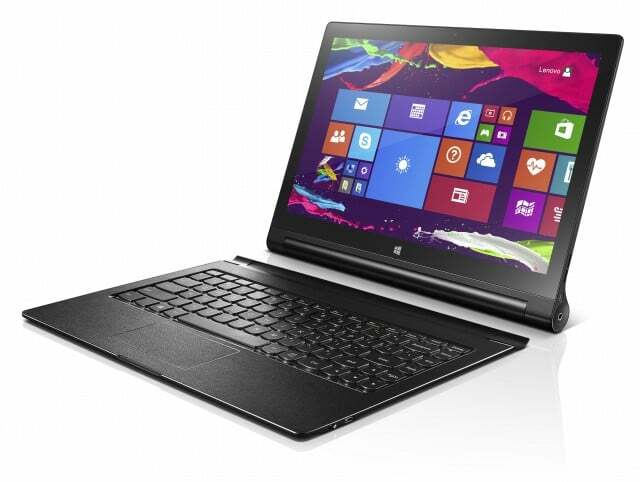 Lenovo has just added a 13-inch Yoga tablet to the second generation lineup of the Yoga devices. It runs on Windows 8.1 and has a QHD display as its highlight. It features quite similar specifications to its Android cousin which was announced earlier this month as the Lenovo Yoga Tablet 2 Pro. This variant misses out on the projector but gains twice the RAM. The tablet is expected to launch soon in India but seeing the fact that Windows tablets aren’t really popular in India, Lenovo might just have a tough time selling it to the masses. But it doubles up as a fully functional laptop too so that works in its favour. Let us see what the future has in store of the tablet. This is Windows RT tablet! Crap! Useless!